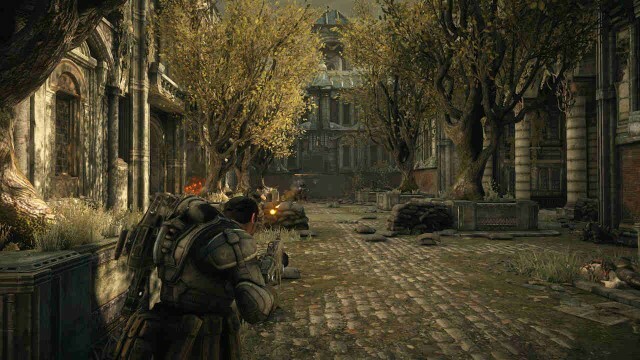 As if a vastly improved version of the original wasn’t enough to make you part with your money, Gears Of War: Ultimate Edition just got a whole lot more attractive. Now, if you purchase and play the game between release day and December 31st, 2015, you’ll receive free copies of every single Gears Of War title from the first instalment all the way up to the most recent Gears Of War: Judgement. Thanks to the backwards compatibility announcement that Microsoft made for the Xbox One back at E3, all four titles will be downloadable and playable on the console when the update rolls out later this year. Why Microsoft decided to include the original version of Gears as part of the bundle is anyone’s guess – Ultimate Edition is, after all, touted as the definitive version of the game – but we really can’t complain when it’s an entirely free, optional extra. If you’re new to the series that helped to propel the Xbox 360 to the top of last generation’s console war, there’s really never been a better time to get stuck in. Gears Of War: Ultimate Edition releases on August 28 for Xbox One, with a PC version planned for release at a later date.